Honma's Mark King and Justin Rose. PACIFIC PALISADES, Calif. — Justin Rose isn't the first player to reach No. 1 in the world and change equipment brands. But he may be the first to cite contract flexibility as one of the key reasons he chose to leave TaylorMade after 20 years for a relative unknown in Honma. Unlike Rose's previous deal with TaylorMade, which required him to play a full bag of the brand's clubs plus the ball, Honma offered up a 10-club deal, not including the ball, that allowed the 38-year-old the opportunity to tinker with four clubs in his bag and continue to play his current TaylorMade golf ball. "There was a little of flexibility in the deal, from my point of view," Rose said on Monday during a media event at Riviera Country Club. "[Honma] is not one-stop shop, which is something I wasn't after. There are a couple other clubs I'm curious about. There's a putter technology that I love. Golf balls are an important part of the jigsaw puzzle and I now have some flexibility on that side of it." Prior to Rose's deal with Honma, Rory McIlroy was the last player to change equipment as the top-ranked player in the world when he inked a mega-deal with Nike that included equipment and apparel. Using 14 new clubs and a different golf ball for the first time, McIlroy struggled to find consistency on the course during the 2013 season. Rose will hope to avoid a similar slow start as he prepares to make his first PGA Tour start of 2019 at the Desert Classic. One thing Rose has going in his favor is the fact that he won't have to worry about breaking in 14 different clubs. Rose confirmed his mixed set of Honma clubs have been thoroughly vetted and are ready for their first competitive rounds. Rose played a key role in the design of Honma's "Rose Proto" — he'll likely use the mid and short irons — which features a sharper toe that's more to his liking. 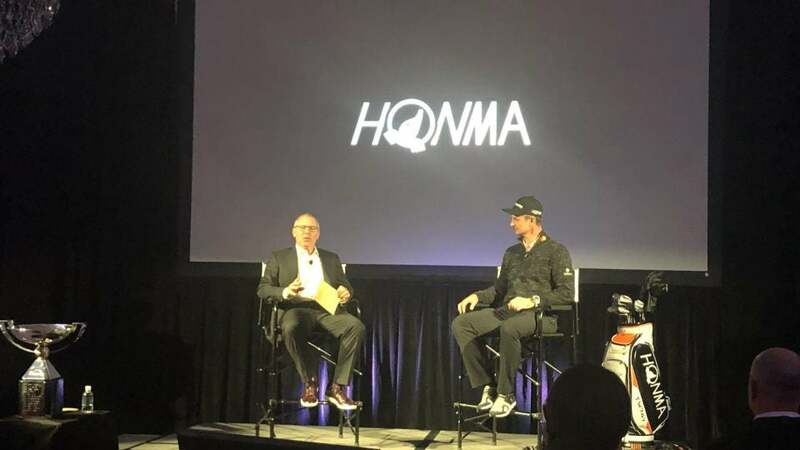 According to a Honma representative, Rose and Honma started the iron design process last July before a finished version was shown to him during the week of the Tour Championship. "With a blade, it's all about how it speaks to you when you look down at it. It's like a relationship," Rose said. "We've talked about groove length, shaping. I prefer Japanese styling with the clubs. The American styling is more rounded on the back end and toe. I like the pointed, pinched-up toe. I was able to tell [Honma] what I liked and what they sent back looked unbelievable." In addition to the irons, Rose plans to use Honma's wedges and is currently contemplating the idea of replacing his 5-wood with a utility 2-iron that he noted "goes just as far as my 5-wood with more control." The only club that remains up in the air at the moment is the driver — a club Rose admitted was a question mark when the two sides started a dialogue six months ago. "The driver was an unknown," Rose said. "But I knew with [Mark King] coming on board — I put a lot of trust in him — and the fact it's a super premium brand, I had a good feeling about it. They were still smart enough to give me some leeway that gives me time to get comfortable. No one is forcing me to play anything. It's a work in progress." Picking up speed with the driver hasn't been an issue for Rose during testing. During a recent session in California, he saw an additional three to four miles per hour ball speed on the launch monitor with the TW747 model. He's also taken the time to learn as much as he can about the design, adjusting the face angle and weights to find a suitable setup. "It was the first time I've really ever tinkered with a club, in terms of face position and moving the heavy weights to the front," Rose said. "I began to dial in the driver. Obviously, there was so much functionality at TaylorMade that I got really good with it. But the speed is what made my eyes light up with the new driver." Even with the significant increase in speed, Rose said the driver will be a game-time decision that comes down to how comfortable he feels with it on the course. "If all goes well in the next couple of days with my final preparations, then I'm teeing it up with the driver," Rose said. "But it's just about a level of comfort, and I know I'll get there." Thanks to the flexibility of his new club deal, there's no pressure to get it right the very first week.